Awhile back I wrote about how someone was using Twitter to find a friend's missing dad, all the while wondering why law enforcement hasn't embraced the tool to send Amber Alerts. Today, as local and state governments cry poverty like never before, I continue to wonder why public service offices haven't flocked to Twitter to enhance their community outreach efforts. However, I had to say, I have finally stumbled across a worthy example of government using Twitter for the public good. This month, construction began on the 91 freeway in Southern California. The expansion will widen six miles of the eastbound Riverside Freeway and, undoubtedly, cause a huge bottleneck in the process. 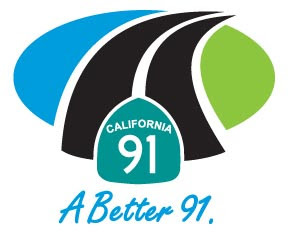 To its credit, the Orange County Transportation Authority opened a Twitter account (@91fwy) to educate locals about the project. The first several tweets were about activities leading up to the construction, and after it began, tweets were sent to keep motorists abreast of closures and traffic disruptions. Now, to be honest, I think the posting is much too light, with only 44 tweets this month. But, to be fair, there are only 82 followers so it's not like the citizens are actively engaged. That said, I have to give the OCTA credit for at least thinking to incorporate social media into its efforts. This is huge, especially in an area that is usually riddled with governmental red tape. As more people hop on the Twitter bandwagon, I hope efforts like this will become more common place. I know I'd like to get my traffic info via tweet so I can avoid traffic snafus and construction holdups. How about you? Thanks for leaving a comment and sharing your experience! That sounds like an amazing trip (glad you got through it all safely!). As one of the early adopters of Twitter, I'm sure you have many great examples of how the platform has been beneficial on a personal level. I know during the recent LA fires, it was used a lot to tell evacuees where to go. Twitter is, by far, my most favorite social media tool. My name is Laura Scheper and I work at OCTA with Fernando. Thanks for writing about government getting involved with Twitter! We've really embarced social media as a tool to engage the community and have found it has wonderful benefits. Just an FYI, some other people in our outreach department that tweet included myself @LauraScheper, @TedNguyen, @OCTAnews, @RailSafeSarah (rail safety awarness), @BaxterSpeaks, @OCTABusUpdates and @WCCprojectinfo (West County Connectors project). Thank you so much for taking the time to leave a comment. Every new movement or medium needs trailblazers and your team is definitely setting an example for other governmental agencies to follow.